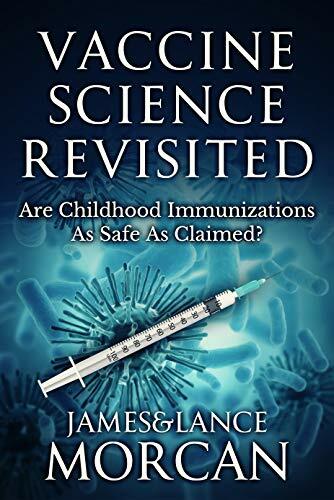 In VACCINE SCIENCE REVISITED we give readers an insight into early attempts to treat infectious diseases – in particular how the doctors of yesteryear tried to combat the ravages of smallpox, that extremely contagious and deadly virus for which there is no known cure. On June 27th, 1833, a 21-year-old man suffered from severe head and back pain. One day later, he was still in great pain and red spots covered his body and face. Smallpox. The man’s face was completely swollen from pustules. Surgeon George fed him beef-tea and arrow-root and gave him medication. This helped the young man sleep for a few hours during the night. The morning after, the swelling was worse and the pustules had merged together and blanketed his face. By July 1st, five days after the illness started, his entire body had turned a bluish-gray color. The pustules covering his body were completely confluent. Calamine, which was often used to reduce smallpox scarring, was applied to his body. From other accounts of what smallpox does to a person, we can assume the pain was unbearable. Infected skin cells shedding as the virus struggled for survival. With the skin peeling off, the virus escaped to re-enter the body via such means as saliva. Once in the saliva, the germ infected the digestive system, giving it access to all organs. The pustules grew to the size of boils, and any physical touch excruciating. The slightest movement would have felt like the skin being torn off. Still, through all this, the young man stayed fully alert. Surgeon George continued to explain how a couple of days later, the outer layer of skin had completely detached itself from the rest of his face. Although the surgeon did not describe his patient being any pain, we cannot help but wonder how painful the separation of skin from his face must have been. The nerves would have been exposed without a layer of protection. Surgeon George described infections under both big toes and in one of the heels. The infections oozed a rancid bloody discharge. The smell, he described as “dreadful”. The surgeon continues to treat him with medication and wine. His last notes end on September 2nd with the patient more pleasant and reading the newspaper. The illness had consumed two full months of his life. He had survived the smallpox attack. He would live the rest of his life with major scarring to his face and body. Stories of severe illnesses are not uncommon throughout our human history. Neither are the stories of humans’ innate desire for survival. We fight to prevent diseases and we fight to heal in the aftermath. Desperate measures have been the groundwork for development of various techniques to ward off and to treat diseases. Even before our understanding of pathogens, or disease-causing germs, we were hard at work battling them. Often alchemy and superstitious practices became the main focus. “Aqueous inoculum method (shui miao fa). Allow a moistened plug of cotton-wool to imbibe an aqueous extract of a number of pulverised scabs (chia), and insert it into a nostril of the child to be inoculated. “Dry inoculum method (han miao fa). Use slowly dried scabs, grind them into a fine powder, and blow it into the child’s nostrils by a suitable tube of silver. “Smallpox-garment method (tou i fa). Wrap the child or the patient in a garment which has been worn by a smallpox sufferer during the illness. The Chinese knew how virulent the virus being used for the inoculum was. This was very important as it dictated its safety and efficacy. A man by the name of Yü Thien-chhih8 explained how inoculates were only collected from patients with mild symptoms. They collected only from patients who had a mild strain of the virus. Any other more virulent or epidemic-type strains were considered too dangerous to use and would kill people, rather than immunize them.